If you’ve searched your own property and didn’t find them, it’s time to start searching further afield. To do this, you need to first identify the highest priority houses to search, then prepare the information you’ll need to give your neighbours. Cats don’t walk along footpaths like we do – they jump over, and under fences; they walk along rooves. So you need to think like a cat and map out your priority search areas, starting with the properties that are closest, then working your way out. Make sure you include properties at the back of your place and on different streets. 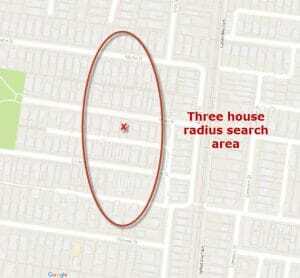 First priority: a three-house radius from your home. 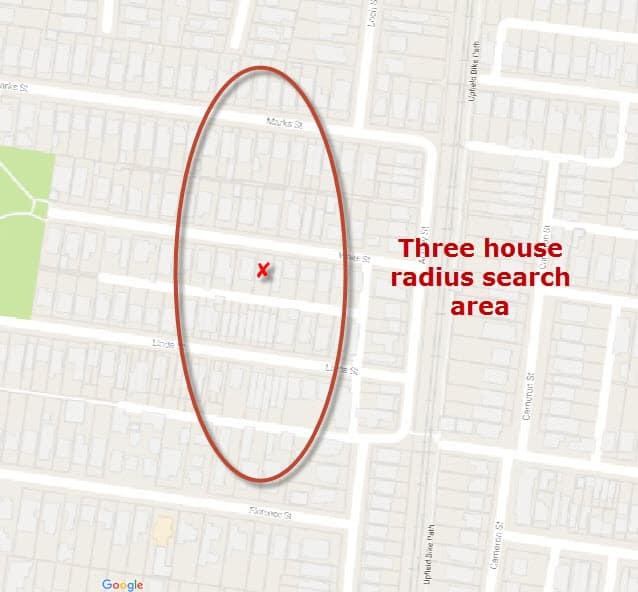 Second priority: a five-house radius. Use Googlemaps, or similar, to map out which properties are your first priority. Next, prepare what you’ll need so you can approach neighbours and ask permission to search their properties. The more prepared you are, the better a response you’ll receive. If you have a lost flier to give people, they’re less likely to think you’re a crackpot or a thief casing their property. Include a good photo of your kitty and basic details. ‘Reward’ as the first word gets people’s attention. If your foster kitty is with a rescue group, include their logo. To reduce printing costs, we design with two A5 fliers per A4 page. You won’t be putting these fliers on lamp posts, so they don’t need to be huge – just enough for people to see what your cat looks like and the basic info. Download sample flier – Portrait photo. Download sample flier – Landscape photo. Some people may initially be taken aback when you ask if you can search their property. 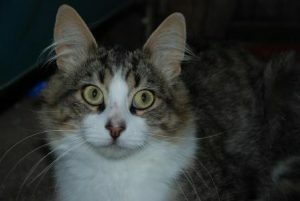 If you explain that timid cats hide, and have reputable research to show them, they may be more open to it. So write and print the letter which explains why you need to search their property. Prepare a sheet to record details of the people you’ve spoken to and properties you’ve searched. This is really important if multiple people are searching – some neighbours may get cranky if they’re approached by multiple people. We find Excel useful. Keep a detailed record of who you’ve doorknocked and spoken to, and which properties you’ve searched. Prepare what you’re going to say to neighbours. Download our spiel if you’re stuck. If you’re affiliated with a rescue group, ask permission to make up identity badges and wear these and a rescue group top when doorknocking. Also take some rescue group fliers with you. This helps people realise you’re legit. You really need neighbours’ help to find your missing cat. Maintaining goodwill, and letting people know how you went, is helpful. We like to leave ‘thank you notes‘ under their door after we’ve searched. Ask your friends, family, fellow rescue volunteers, neighbours, colleauges – anyone you can – if they’ll help you doorknock and search. Moral support at this stressful time is very helpful. We’ve found people are also more comfortable if there are two people doorknocking, rather than one. Now that you have everything you need, it’s time to start doorknocking your neighbours and asking to search their properties.